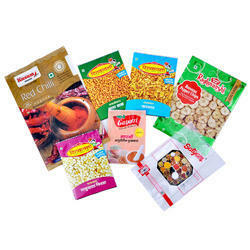 Providing you the best range of center sealed pouch and three side sealed pouch with effective & timely delivery. Available Color Golden, Silver, Blue, Black etc. 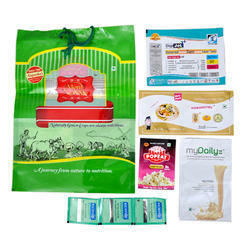 Being prominent manufacturers and suppliers of Center Sealed Pouch for product packaging in different industries. It is easy to open because it uses low sealing strength materials. It is mostly used for chip and fresh food packaging and available at affordable prices. Available Capacity 250g, 500g, 1 kg, 2 kg, 5 kg etc. We are involved in the manufacturing and supplying of Three Side Sealed Pouch which meet the all types of packaging such as sweet, facial mask, cookies, etc., needs as well as provide high visibility on shelf for large sales.